"Patriots, Redcoats and Spies" Bonus Book Giveaway ~ The History Girl! 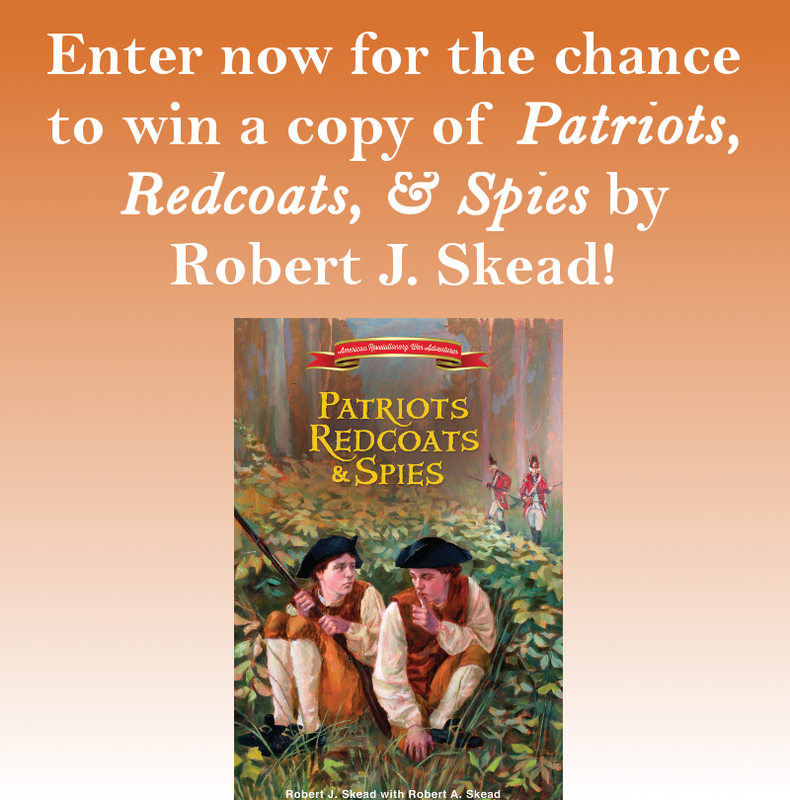 Thanks to author Robert J. Skead, The History Girl is offering one copy of his book Patriots, Redcoats and Spies. In order to be in the running, submit your name and e-mail address below! With imagination and wonder, the Skead’s Patriots, Redcoats and Spies begins during the American Revolution in 1777. When Revolutionary War Patriot Lamberton Clark is shot by British soldiers while on a mission for the Continental Army, he has only two hopes of getting the secret message he’s carrying to General George Washington: his 14-year-old twin boys John and Ambrose. Upon discovering that their father is a spy in the Culper Spy Ring, the boys accept their mission without a clue about what they may be up against. They set off from Connecticut to New Jersey to find General Washington, but the road to the commander-in-chief of the Continental Army is full of obstacles; including the man who shot their father who is hot on their trail. Rules *One entry per person. *Valid for all residents of the 50 United States of America, 13 years of age or older. *Entries without a valid e-mail address are not eligible. *Contest begins March 1, 2015 at 6:00 pm EST and ends March 7, 2015 at 8:00 pm EST. *The winner will be chosen at random. *The winner will be notified via e-mail on March 7, 2015 after 8:00 pm. The winner must respond with a mailing address within thirty-six (36) hours or another winner will be chosen.